The world’s best cider boards! 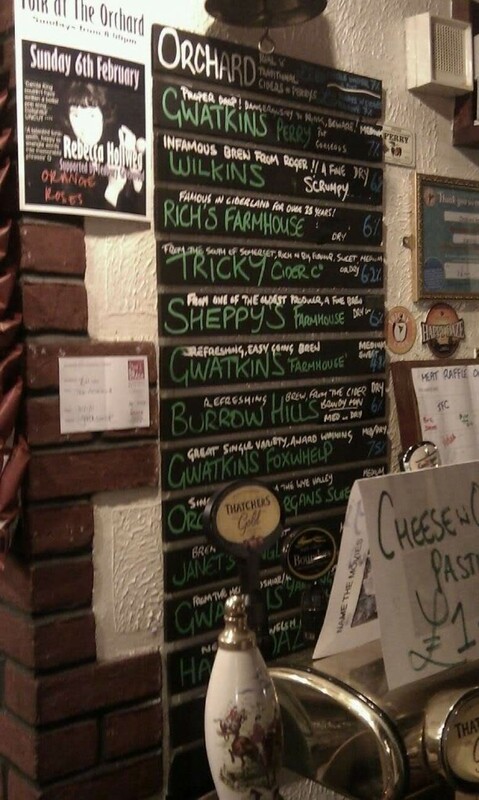 Recently I tweeted out for people to share their pubs cider boards, after a recent visit to Bristol to find this amazing selection, in the CAMRA award winning Orchard Inn. 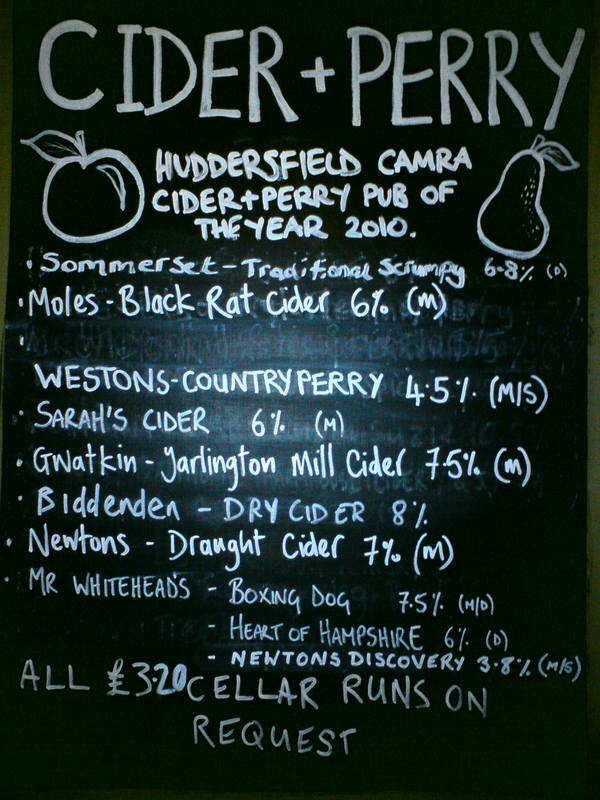 We had a great response, cider boards from Dorset to Huddersfield were shared with us. 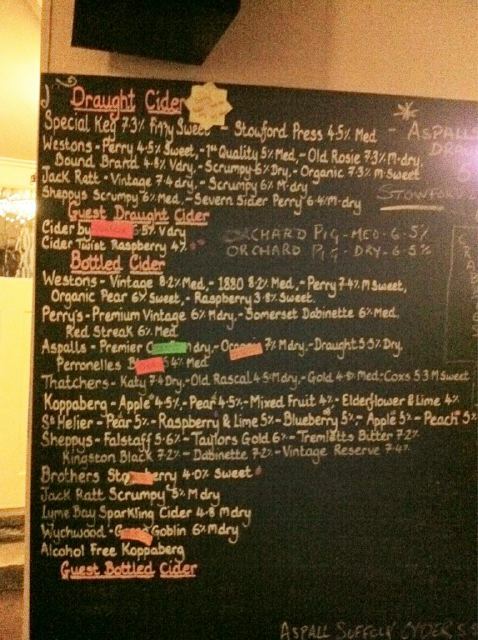 The photos below show a mouth watering selection, and proving that landlords who want to champion real ciders, and support cider makers have a fantastic selection to choose from. Proving that you don’t always have to attend a cider festival to enjoy a seasonal selection of craft ciders and perries. If you want real cider delivered to your door check out The Buy Cider store. Can your pub can do any better? Leave your message and photos in the comments box below.